Pastoral care is the heart of every good school. Our first priority is the well-being and safety of each student. When starting at the school, each student joins a Homeroom that meets daily with their Homeroom teacher. All teachers are expected to know their students but the most important school contact for students and their parents is the Homeroom teacher. 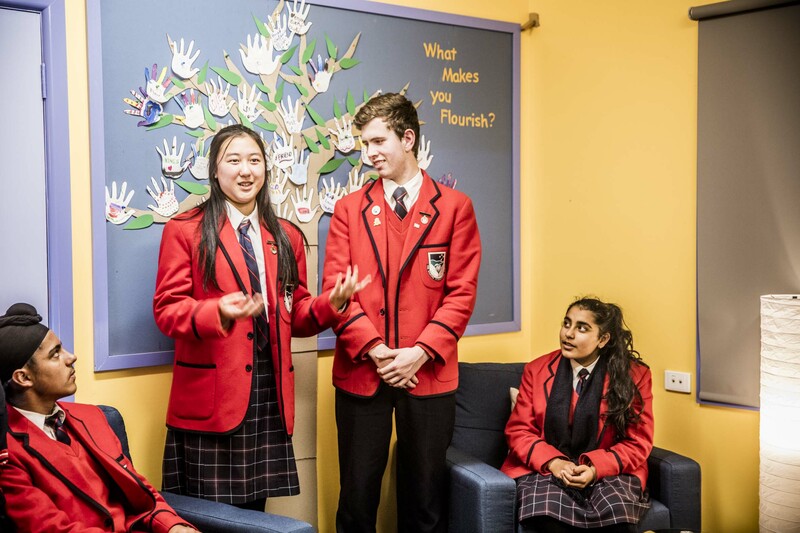 By monitoring attendance, academic progress, co-curricular involvement and personal development, the Homeroom teacher works closely with the Year Level Coordinator to understand, support, encourage and guide each student. Students meet in their Homeroom every morning. The teacher will use this time to read the daily notices, check diaries and meet with individuals. Each semester, Homeroom teachers will write a pastoral report which is designed to highlight student accomplishments and identify any areas of concern. All students will attend pastoral workshops during the year to develop resilience and safeguard their well-being, for example on cyber safety. Each student belongs to a vertically grouped House to promote personal relationships and responsibilities across year levels. Students are also offered support from the Year Level Coordinator, Student Counsellor, Student Services and the Careers Counsellor. Our first priority is the well-being and safety of each student.